A romantic, elegant 2 piece lead crystal champagne flute Blenheim gift set is the perfect choice to toast an anniversary, wedding, engagement or any celebration. 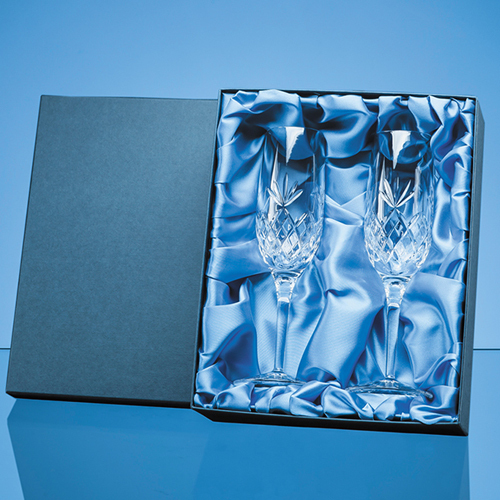 In a traditional diamond and wedge pattern and with a long stem these glasses sit perfectly in a beautiful blue satin presentation box. They are a perfect award or gift for any occasion and will fit perfectly with other pieces from the Blenheim collection.